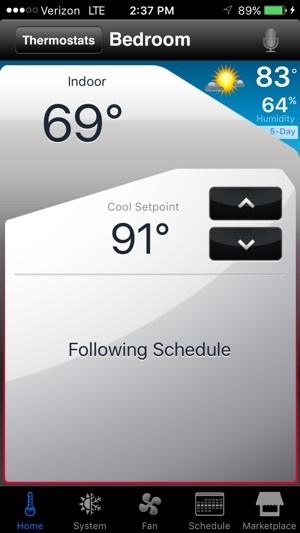 The Total Connect Comfort app allows users to remotely monitor and manage their heating and cooling system – at anytime, from anywhere. 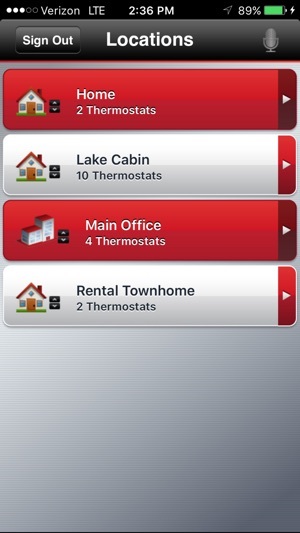 Total Connect Comfort works with Honeywell Home Wi-Fi Thermostats and with Honeywell Home Redlink Comfort Systems when used in conjunction with a Redlink Internet Gateway. Whether a homeowner, business owner or both – users will find comfort in Total Connect Comfort. 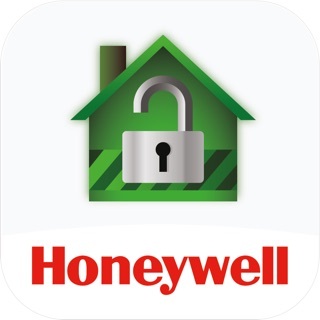 Update Logo to Honeywell Home. Last year I had to replace the entire first floor HVAC system. The company providing the new HVAC system also removed my old Honeywell programmable thermostat and replaced it with another brand name thermostat. I didn’t think much about it at the time as I thought I was getting an updated thermostat. It was a horrible mistake! With two different manufactures of smart thermostats trying to adjust temperatures in the house, in short, was not working! I finally got mad and replaced both of them with these new Honeywell units. I really like the iPhone interface with both units. It is extremely easy to program and very versatile. 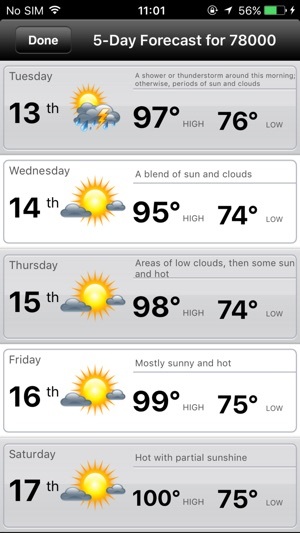 My home is maintaining a much better comfort level while not having two HVAC units fighting for control or one not running at all. 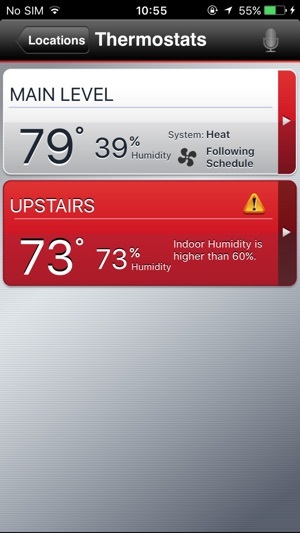 I am a little disappointed that Honeywell will not provide a common interface between the two thermostats. Ie. Both HVAC units should be running at same time so that one unit is not carrying the entire load of the home. If one unit is on, the other will not since a need to operate (at least for a little while). But, I’m not an HVAC engineer and there may be other issues here, such as a confused homeowner. Regardless, these two thermostats seem to balance my home much more effectively and efficiently than my previous set up. And the two HVAC units seem to get along with each other now. So, 5-star because they are working better than I expected! I replaced another brand of wi-fi thermostat with this one after the original failed. 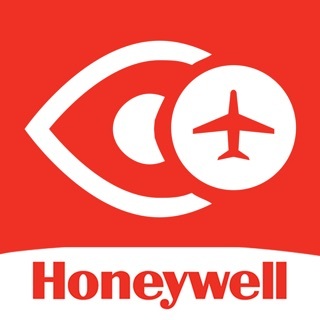 I bought the Honeywell partly because of the reviews and partly because of the company reputation. It works, but I am a little disappointed at this point. 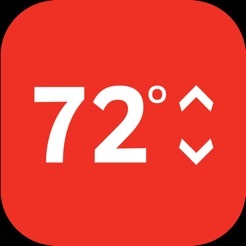 The thermostat does not update the indoor temp properly or often enough so it gets cold in the house before it turns the furnace on and then it overruns the set temperature so it gets too hot inside before the furnace turns off. I thought it was a problem with the unit so I returned it and got another. No difference. I called the support number and got someone overseas who had no idea how to understand the problem or tell me how to fix it. In addition, the unit does not have a function to give me daily unit run times. On the plus side, it is easy to set up and the display is easy to read. I would give this unit 5 stars if it would work correctly and give me some idea of how much the furnace runs on a given day. Update, one year later. The unit has settled in as far as holding temp goes, and I like the feature where it anticipates the heat time needed to meet the temp setting at a given time. Especially useful given that we reduce the house temp to 60 degrees overnight in winter. The unit senses temp drop during the night apparently and calculates the time needed to meet the warm up time in the morning. I would give it 5 stars but there is still no function to view actual run times. So far it’s the best I’ve had..and I had a few.. I just installed a new Carrier high efficiency furnace in our vacation cottage up north Michigan. I had bought a $99 Honeywell RTH6580 at first, installed it and found out it didn’t have any battery backup. Since it’s a vacation home, I want the thermostat to remember the settings because I’m only there if you times per year and the power seems to go out regularly. No where could I find anything about a backup system, so I tested it by turning the furnace off for a while and reconnecting. The thermostat went to a much higher (probably a preset) heat setting than I had it. So that thermostat came off the wall and went back to the store. Then I tried a $99 Sensi. It was very difficult to set up, I never could get it to connect plus it only went down to 50° and I needed to go down to 42 because that’s the temperature I keep my cabin in the winter. So they one came off the wall and went back as well. I then bought the Honeywell RTH9585. It stores settings in permanent memory, not just limited battery back up, which is great because sometimes power is out for several hours, and no batteries to change. its goes down to 40, was really easy to set up and connect to my router, app has worked flawlessly. I love it so far. And I’m getting a $50 rebate from the electric company for installing it...awesome.